Boeing didn’t tell airline pilots about features of a new flight-control system in its 737 MAX that reportedly is a focus of the investigation into last month’s deadly crash in Indonesia, according to pilots who fly the jet in the U.S. The automated system is designed to help pilots avoid raising the plane’s nose too high, which can cause the plane to stall, or lose the aerodynamic lift needed to keep flying. The system automatically pushes the nose of the plane down. Jon Weaks, a 737 captain and president of the pilots union at Southwest, said he couldn’t recall a similar omission in a Boeing operating manual. “I was not pleased. How could something like this happen? We want to be given the information to keep our pilots, our passengers and our families safe,” he said. 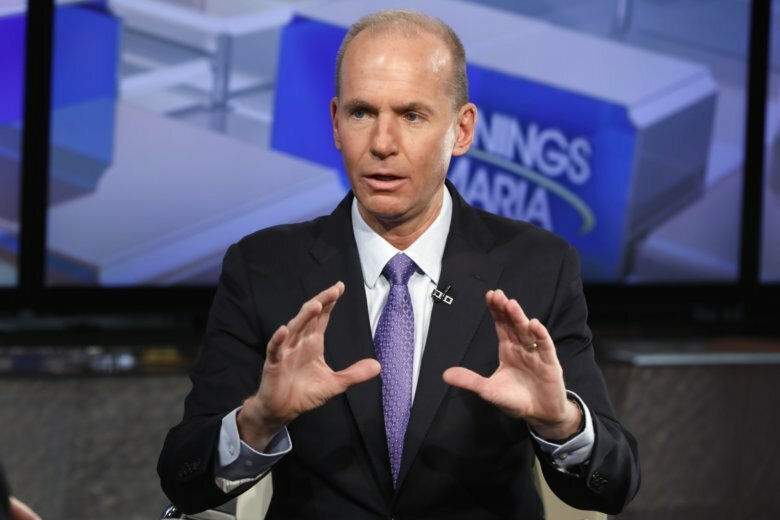 “We ensure that we provide all of the information that is needed to safely fly our airplanes,” Muilenburg told Fox Business Network. He said Boeing bulletins to airlines and pilots “point them back to existing flight procedures” to handle the kind of sensor problem suspected in last month’s crash. A Southwest spokeswoman said the new automated maneuvering system was not included in the operating manual for MAX models. An American spokesman said the airline was unaware of some new automated functions in the MAX but hasn’t experienced nose-direction errors. A United spokesman said Boeing and the FAA do not believe additional pilot training is needed. “The FAA will take further action if findings from the accident investigation warrant,” the agency said in a statement Tuesday. The Wall Street Journal reported that U.S. and Indonesian investigators are increasingly focusing on the way that the plane’s automated control systems interact. They are also questioning whether the FAA and Boeing adequately analyzed potential hazards if the systems malfunction and send faulty data to the plane’s computers, according to the newspaper. This story has been corrected to read that it’s the Fox Business Network, not Fox Business News.